This peachy pink loving girl has finally converted to a classic9-ish) red. The last few weeks I've been rocking a red lip for some unknown reason. I've gone through a few products but my favourite has to be this little genius in a tube. The Hourglass Opaque Rouge in Riviera came into my life when browsing the halls of Space NK. 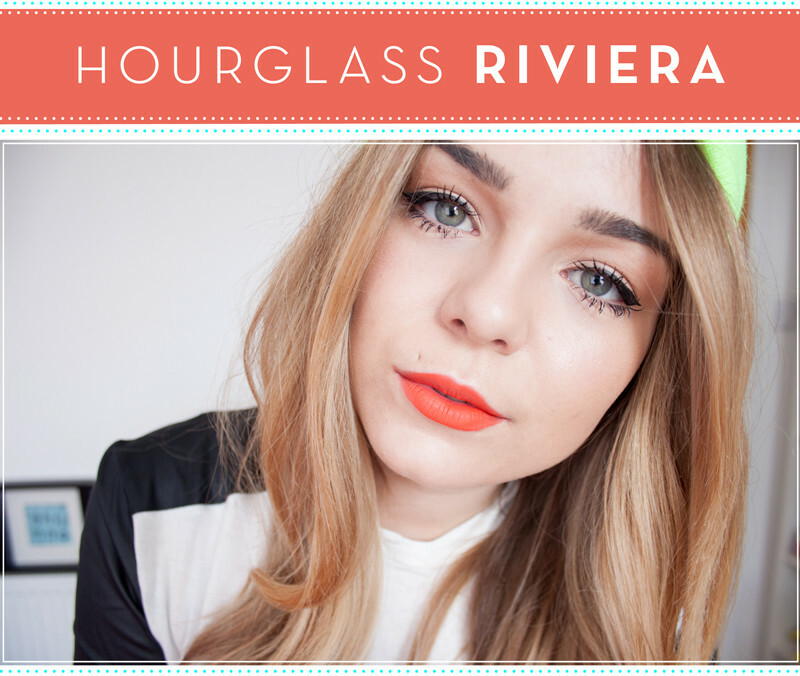 Hourglass Opaque Rouge in Riviera is a bold suped up lip lacquer which offers opaque coverage in one layer. Smooth, easy to use and you can apply easily straight from the tube. There are few words to describe it apart from beautiful and perfect. A great orange toned red which really compliments my skintone and is the perfect statement lip. On my lips these lasts for ages and are perfect for a night out. At £23 they are hardly cheap, but you really wont be disappointed.